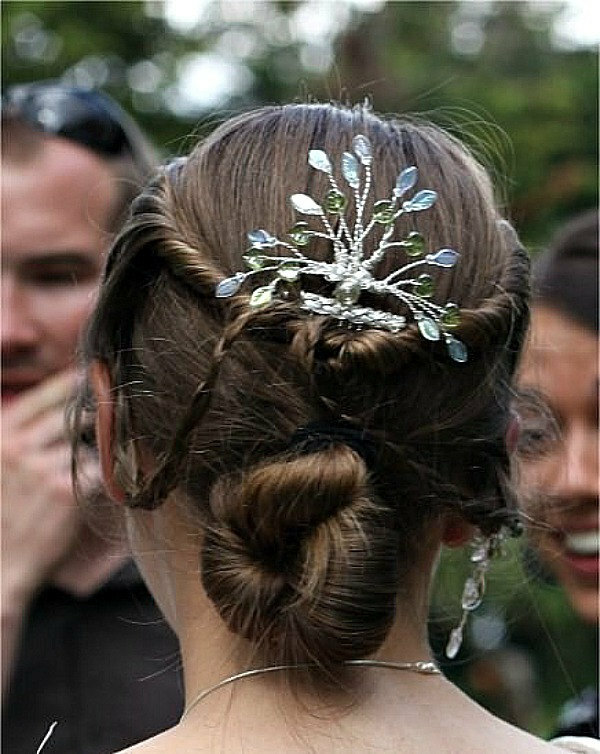 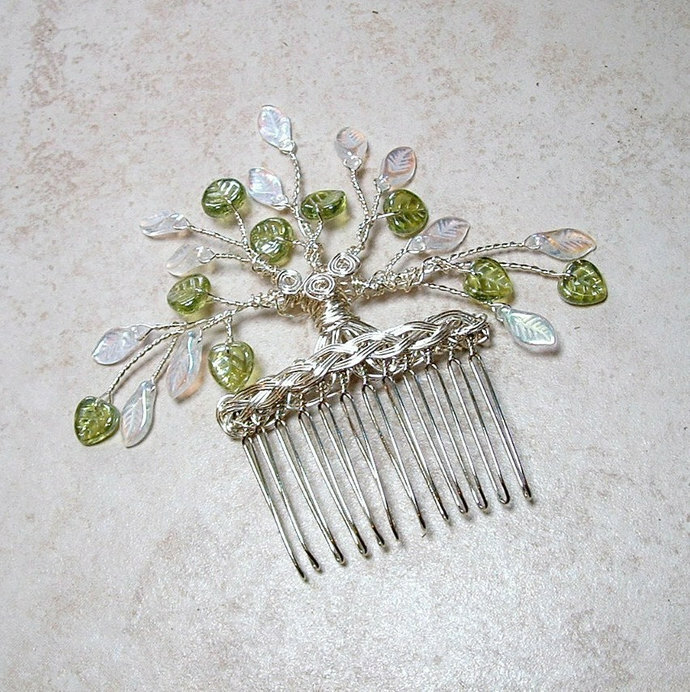 A beautiful wedding hair comb based on the Celtic Tree of Life legends made with silver wire and peridot and crystal aurora borealis leaves. 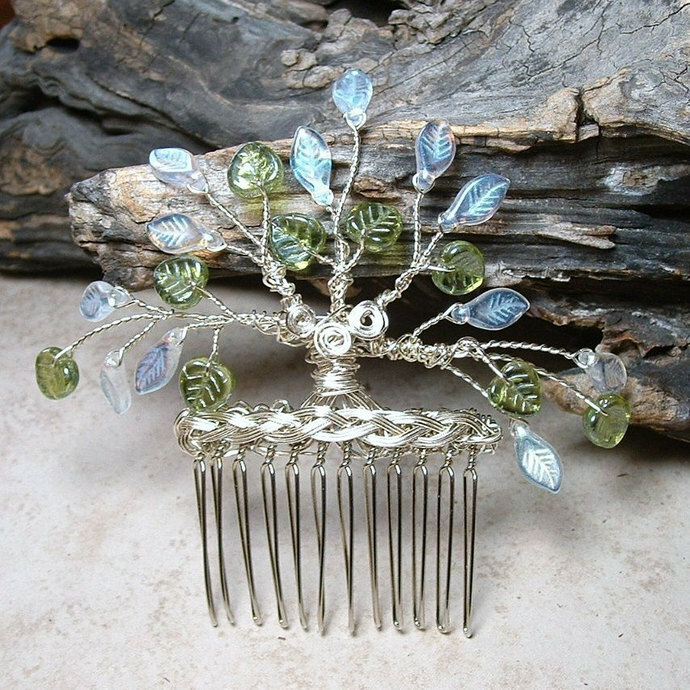 The comb base itself is 2 inches wide- with the branching leaves it is about 4 inches wide total. 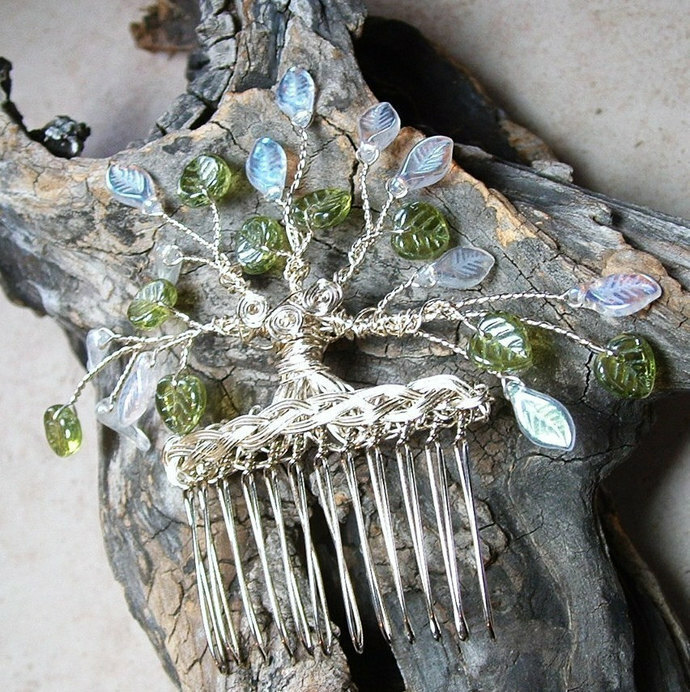 Each piece is made to order, so just as in nature each tree will have slight variations.